Earlier today I wrote some brief thoughts on what the term “Writer” means to me. (link here) I received several comments on that post and I was surprised to find that they tended to show two distinct views. I ended up thinking about this throughout the day and came to the following conclusion. 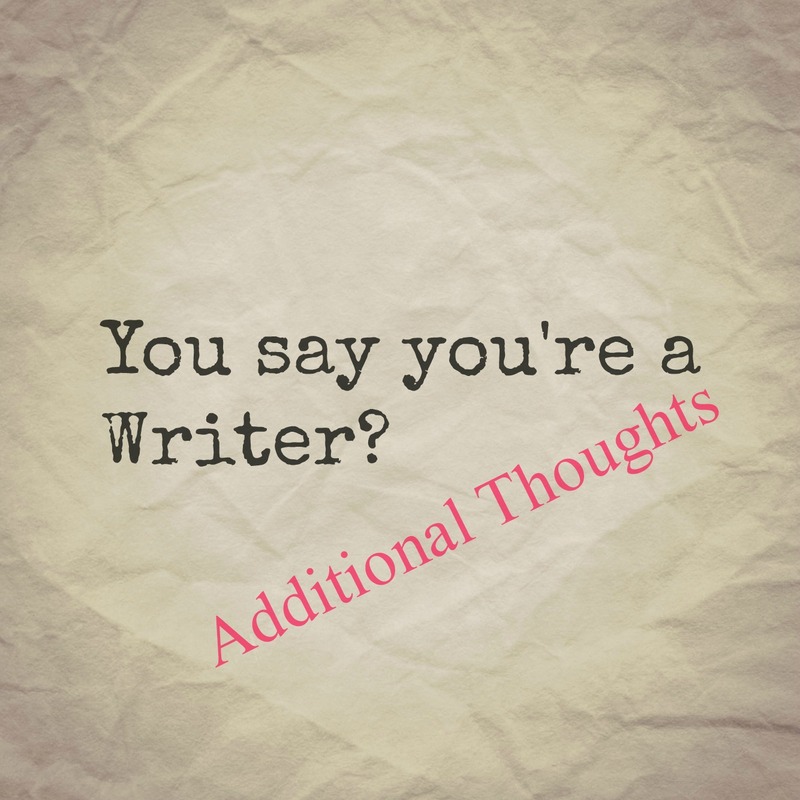 Writing seems to fall into two categories in my mind. I AM passionate about writing. My plate is SO full today with work and family and end of the week craziness that I. Do. Not. Have. Time. For. Writing. Yet, here I am. Writing another blog post. I have a big party to attend tonight and I’m going to look like crap because my getting ready time is being spent here. Writing. Ah, c’est la vie. The thing is, my thoughts have been circling around my head all afternoon and well, I had to get it out. Do I consider myself a Writer? Still no. Here is my reason why: The word “Writer” in my mind refers to someone whose profession is Writing. I.e. they make their living from it – or at least partial living from it. That is the definition of “Writer” that my mind accepts. However, I do not claim that this is the only way a person can interpret the word “Writer” – obviously there are many whose views differ from mine. And I am totally Okay with that. Big X & Big O. You are right, it is open to interpretation. I differ a little. I consider myself a writer, but not an author because I don’t make a living (or a portion of a living) from my writing. Shoot, lady, why are you so unreceptive to people whose views are different from yours? I consider myself a writer, though I haven’t been published. I read a quote somewhere recently that said we shouldn’t concern ourselves with what people think of us, but rather with how God, who knows everything about us and loves us anyway, is going to look at each of our actions and choices when we stand before Him on the last day. That combined with the Cross helps me make good choices and follow through. I’m all about writing about God lately. God and love, and Alfred Hitchcock. I know, I’m working on being more understanding. 🙂 I believe that God is concerned with what I do and not so much what I’m called. I don’t really worry about what other people think about me but I have to be true to my own standards of what I consider myself. Thanks for your thoughts. I am also a passionate writer 🙂 I think that English is one of the most beautiful languages. There are so many words in this language to describe the concerns of the heart and I am lucky to be able to write/type 🙂 keep writing & expressing yourself; it’s beautiful!